© Fuge Design Studio - WE CREATE JOY! We investigate: Who is your target market? Who is your competitors? Do you like pink? We want to know you and your business inside out so that we can identify what your strategic needs are and what you would like to achieve in and with your business. We analyse our findings, clarify your brief accordingly and look at all possible scenarios to develop a strategic approach that will achieve your business goals. Our strength lies in brand strategy – design grounded in smart strategic thinking is what makes all the difference. This is our sweet spot! The strategic foundations have been laid…now we build on it. We refine our ideas and concepts and present them to you. Fonts, colours, layout, look and feel. Everything needs to find a balance to create that wow factor that you need to make your business pop! It’s not often you get to work with people as creative as Fuge that is as A type as they are! They are not only uber-talented aesthetically, but also incredible to work with – organised, efficient, strategic, intelligent. A real pleasure. 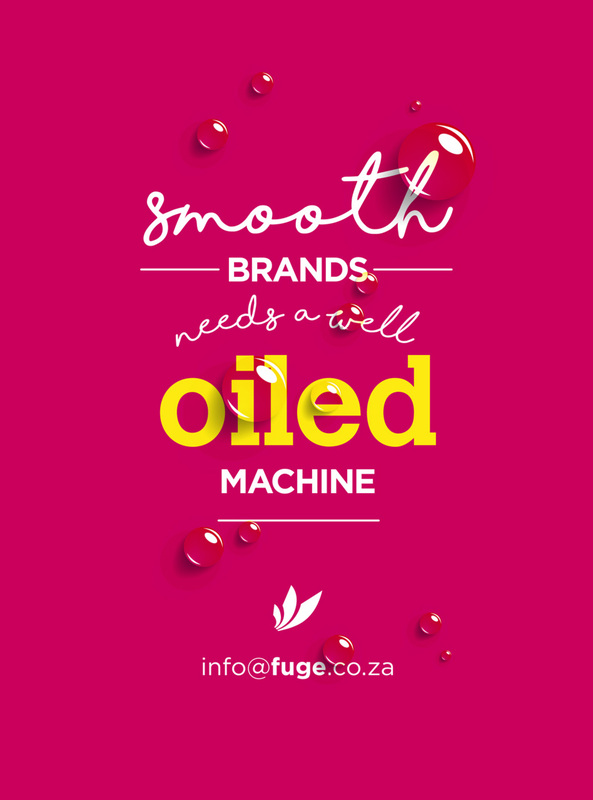 We have had the privilege of working with Fuge for nearly 5 years and during this time they have positioned themselves as a trusted business partner and a true brand ambassador for our company. From championing our corporate identity, to assisting us on international creative design projects for our large corporate clients, their professionalism, creatively and ability to effectively communicate a message is remarkable. Above all, they are true to their brand promise … in creating joy! We’re designers, and we love to do what we do. A creative studio that focus on strategic design, branding and advertising. We eat, sleep and live design! Situated in Gauteng, South Africa we service all businesses big or small, corporate or retail, profit and non-profit both locally and abroad. We are future thinkers, strategists, brand ambassadors and we love to see people smile. Scroll down to learn more about who we are, what we do and how we can benefit your brand and overall business. At Fuge our main goal is for our clients to experience joy…and how do we do that?…by listening, doing and going above and beyond what was asked of us in the first place. We value relationships much more than ‘one-project-stands’. When clients’ needs are met, joy explodes. With every project we learn and become more knowledgeable on different topics, different people and different industries. We know that you know your business best and that is why we work with you – OUR strength lies in the ability of conceptual thinking – creating the BIG idea! We want to create a brand that you, our client, and your customer, can relate to…can love…can enjoy. Let us do what we do best, create joy!